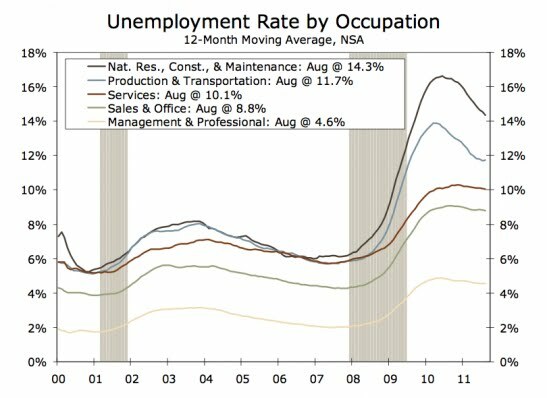 The first chart shows that some sectors have a lot higher unemployment than other in the United States. This especially holds true for the sector with Construction which has the highest unemployment in the country. In the Management sector the relative increase in unemployment has been quite a bit lower. 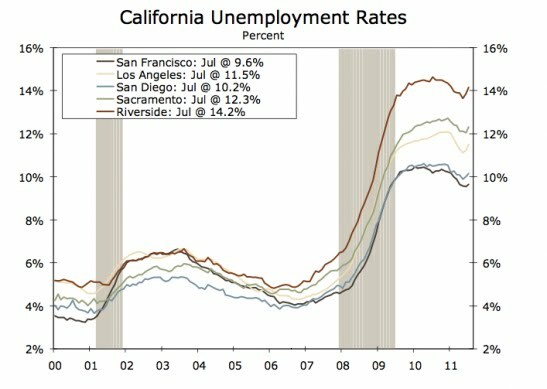 This chart from Wells Fargo compares jobless rates for regions in California. In parts of California hit hard by the housing crisis like Riverside and Sacramento, the unemployment rate is notably higher than in the other parts.